You must be a member of the New Delhi City Trotters & Adventures Group to attend this activity. Would you like to join this group? Are you interested in learning how to design, build and perform with puppets? Hello friends! I am a volunteer with the group Clownselors that does medical clowning in Delhi in hospitals, old age homes, children's' homes, etc. Clownselors is organising a special workshop on Puppetry by Mr Sanjay Joshi. 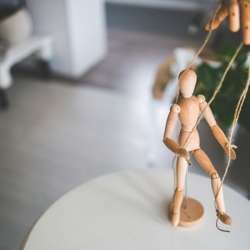 I certainly am interested in learning the art of creating and manipulating my own puppets. O'Neill Theatre Centre, Waterford, CT, USA. Please note that this is just an invite to the event and I am not conducting this event. Prior registration for the event with the event organizers is compulsory so they can arrange the material. Age group Protected content and above. Please only sign up if you are sure you can make it. If something comes up, please make sure to cancel your attendance — Thank you!